Seven last night confirmed its launch for The Blacklist as 8:30pm next Monday night, September 30. It will go head to head with the return of Homeland on TEN, while Nine has two more new intruders entering Big Brother next Monday. 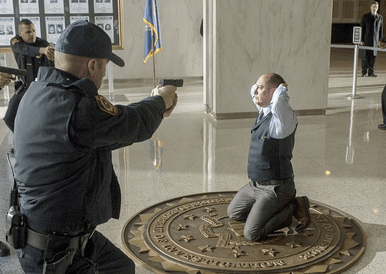 Highly anticipated new drama, The Blacklist, stars James Spader as the world’s most wanted criminal, Raymond Reddington, who mysteriously turns himself in to the FBI and offers to give up everyone he has ever worked with. His sole condition is that he will only work with a newly minted FBI agent with whom he seemingly has no connection. Seven launches the show six days after its US premiere, which is tomorrow Australian-time. Meanwhile Marvel’s Agents of S.H.I.E.L.D. is coming to Wednesdays but no date is yet announced. Oh, that will be interesting. Not sure about Agents of Shield.